When I lived in Kuala Lumpur and before I discovered the beauty of the forest and the joy of running their trails that still, fortunately, exist in places like Gasing & Kiara today, this place was my oasis for running. I was delighted to have the opportunity to run there again at this event, which as the name implies is now in its 12th year. PAR stands for “Pacemakers Anniversary Run” and Pacemakers Malaysia are next to Pacesetters the largest local running club in Kuala Lumpur. They may by now be even larger as there were 212 teams entered for this event and this was the second such event in the series which was prompted by the first being a “sell out”. I received the opportunity because of the kindness of the organisers who had donated some free slots for Care to Run (C2R) , a community running group that I help out at from time to time and who I like to raise money for. As a result, I was asked to pair up with Brendan & Parthivan, 2 of the young boys from this initiative, Dolly Lim & Soh Wai Ching. We were christened, courtesy of the creativity of Rudhra, one of C2R’s volunteers as the Ad Astra Team. He gave all of the participating C2R teams imaginative and unique Latin names and our name translated to “To the Stars”. No pressure eh! In a truly Gentlemanly and refreshing way, the Ladies/Girls went first with a mass start and Dolly got us off to a solid an steady start. Our next runner Soh Wai Ching, for those of you unfamiliar with the name, is one of Malaysia’s fastest young men over 10km and, despite his commitments to the National Youth Squad and his studies, to his immense credit, he still manages to find time to put in time coaching and inspiring the young disadvantaged kids that participate in C2R. 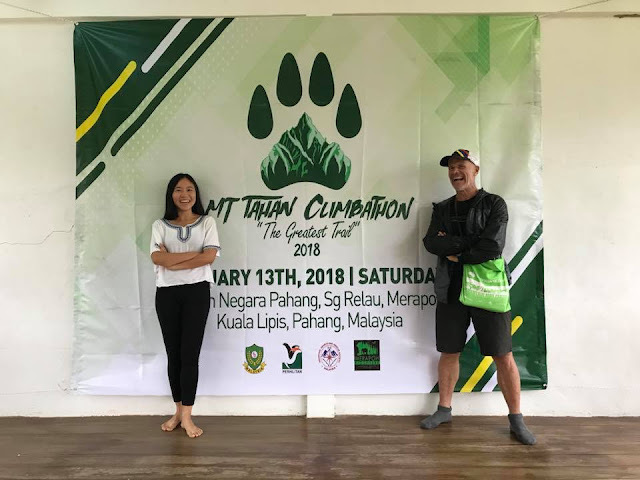 This is a great example of the “care” part of this community running project founded by the equally caring Chia Mee Leng, Elgy Tan & Prem Kumar Ramadas. As it teaches the children and their carers (including guardians, parents – if they have them and their teachers) not just the importance of running as part of an active lifestyle but to care for others through their running by either raising funds for good causes or just helping others to adopt such a lifestyle. Anyway, that’s enough of advert for this great example of doing good in our community! 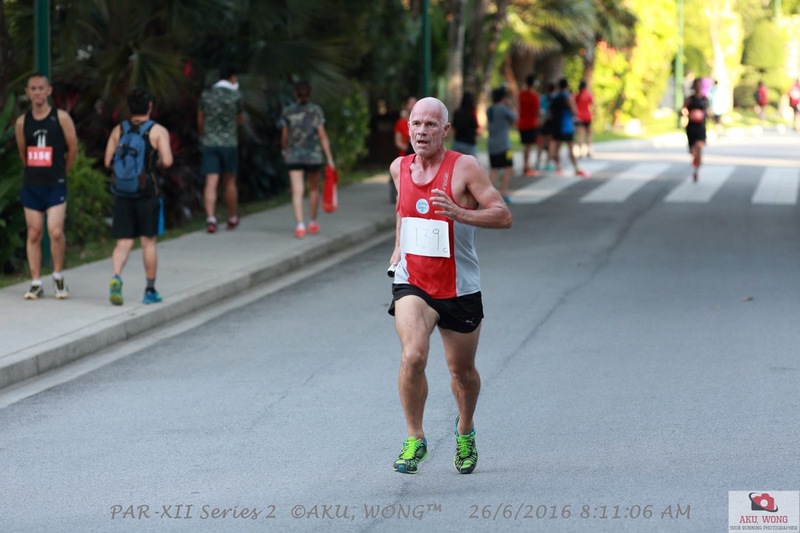 If Dolly’s start was solid and steady then Soh Wai Ching’s run was sparkling and startingly as he ran a sub 11 minute leg and passed me the baton with us in 9 th place. The pressure was therefore on me to run a leg that could keep us in the hunt so that the boys who we had deliberately saved to run the anchor legs for us so that they got to run with the best as we knew that all other teams would save their best runners until the end. This was a long-term strategy as Wai Ching & I knew that (particularly in my case) these Lads were the future of our team as it would fast track their learning and make them stronger and faster as a result. Intense Moment of Passing Baton! Fortunately, despite setting off way to fast as I always seem to do, my hill running legs kicked in when they needed to and I managed a sub 13 minutes loop which I was very happy with given that I’d predicted a 13 minute 30 second for my loop. 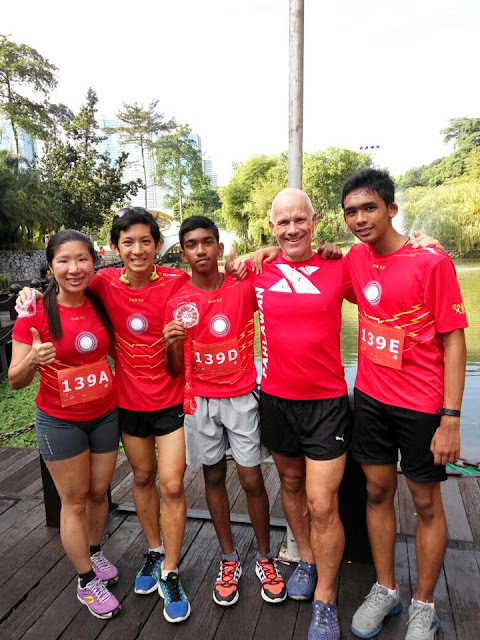 Inevitably, the boys lost a few places but, as I just explained, we weren’t in it to win it (this year ;-) but both still run sub 15 minutes and more impressively at 15 & 16 respectively Parthivan was 13 th out of 212 runners doing the 4 th leg and Brendan was 17 th having running a 14 minute and 10 second leg. Running in a team format and supporting each other makes running extra special and really meaningful especially if it involves helping other people realise how much amazing potential they have. Running short distances as fast as you can usually means that you need to have a “high revving” engine and/or “high explosive” fuel making it the natural domain of the young. An old diesel engine isn’t usually associated or suited to this environment. However, if you train for it, it’s amazing what you can get an old engine to do. High Intensive Interval Training works! It was a long journey to make for such a short race but being with friends who are committed to doing good as all of the C2R volunteers makes every long journey seem a lot shorter.